Gerhard Haderer is an Austrian caricaturist and his satirical cartoons often meet the nerve of our’s society. Check it out on boredpanda.com – love them. 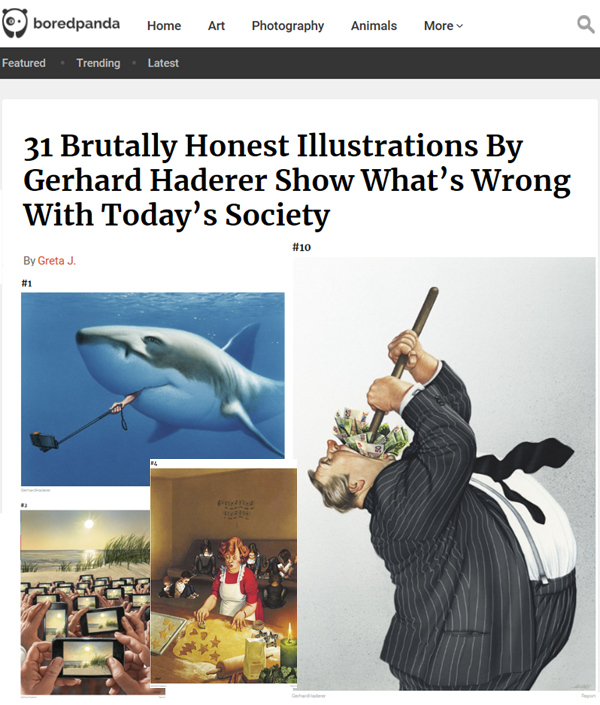 You can buy illustrations by Gerhard Haderer online at Amazon. Enjoy!